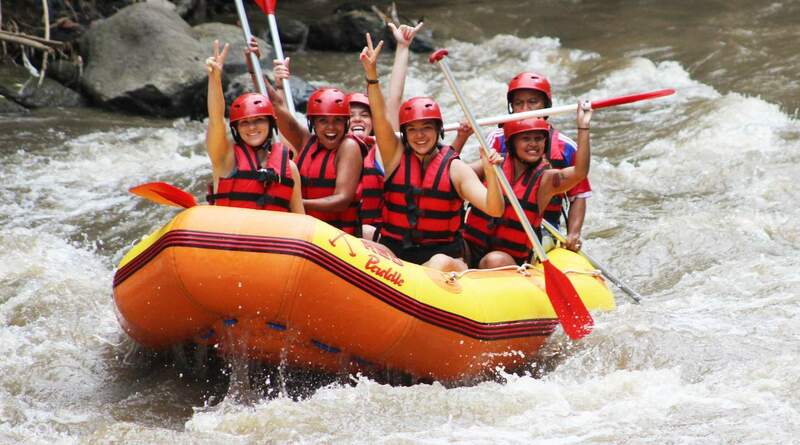 Enjoy an exhilarating activity at Bali's longest river! Krist was very professional and we had a very entertaining rafting experience is his capable hands. We would not hesitate going rafting again with him as the guide in future! 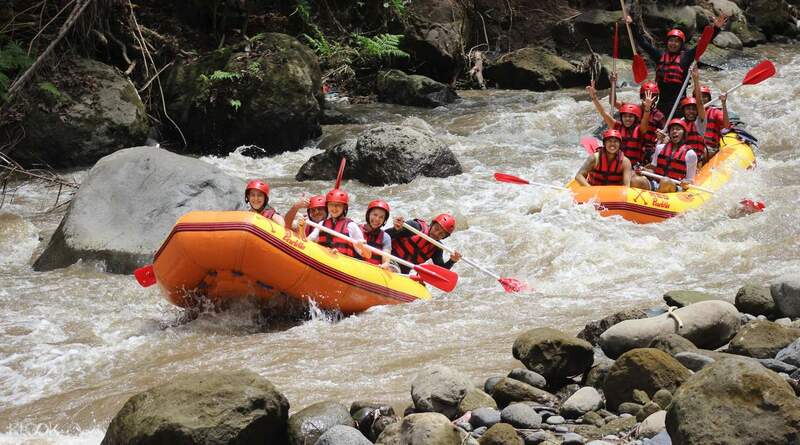 Get the experience of a lifetime during your trip to Bali by trying out white water rafting at the stunning Ayung River, the longest river on the island. Marvel at the river's gorgeous surroundings, including lush rainforests, gorgeous waterfalls, and beautiful gorges! Enjoy a convenient pick up at your hotel, then travel comfortably to the rafting starting point inside an air-conditioned vehicle. Once you arrive, you'll change into your rafting clothes and equipment and be briefed by the professional guides about the proper rafting techniques and safety rules. Set off on your exhilarating rafting adventure, which lasts for a bit over an hour, and feel the cool water splashing on your skin as you make your way to the finish line. Rest and recharge with a delicious buffet meal that features a variety of fresh, local dishes, before you shower and start to head back to your hotel. This is a fun, family-friendly activity that all thrillseekers should try at least once during their visit to Bali! The start and end of the tour require walking up and down some quite steep steps – come prepared with sturdy shoes! I took the afternoon tour, we were only 3 persons and the guide, so i wasent as bumpy and fun as it would be with more people so take the morningtours rather. Otherwise it was very fun and beautiful. After u get a simple buffé but it taste good. I took the afternoon tour, we were only 3 persons and the guide, so i wasent as bumpy and fun as it would be with more people so take the morningtours rather. Otherwise it was very fun and beautiful. After u get a simple buffé but it taste good. If u didnt have a rafting or kayaking experience, this will thrill u a lot! The rapids are beginner to intermediate levels and u can really enjoy the 1.5 hour long rafting going thru various twists and turns. But before you start the experience be prepared to climb down a never ending line of stairs to the starting point. Just take it easy so that u dont get exhausted before the start off the thrill. There is a midway point to refresh urself with drinks and chips before completing the trip. Massage urself to avoid sore muscles after the trip! The lunch given after the trip is good with some great scenic views. Just take it easy to enjoy the trip! If u didnt have a rafting or kayaking experience, this will thrill u a lot! The rapids are beginner to intermediate levels and u can really enjoy the 1.5 hour long rafting going thru various twists and turns. But before you start the experience be prepared to climb down a never ending line of stairs to the starting point. Just take it easy so that u dont get exhausted before the start off the thrill. There is a midway point to refresh urself with drinks and chips before completing the trip. Massage urself to avoid sore muscles after the trip! The lunch given after the trip is good with some great scenic views. Just take it easy to enjoy the trip! Nice of them to pick up and drop in a separate car. The way to rafting has some steep steps and the way back also has some steps so recommended to bring sturdy flip flops. The lunch provided had 2 vegetarian and 3 non vegetarian option. Stunning views during rafting. Overall a satisfying experience. Nice of them to pick up and drop in a separate car. The way to rafting has some steep steps and the way back also has some steps so recommended to bring sturdy flip flops. The lunch provided had 2 vegetarian and 3 non vegetarian option. Stunning views during rafting. Overall a satisfying experience. The rafting was not that extrme but it was really fun, our guide Putu helped a lot to make it that way. also the surroundings are incredibly pretty so if you want to take look of the jungle from within this is a good option. Also there is a stop at mid point where you can buy refreshing drinks. Towards the end of the rafting you have the option to swim. if you like you can buy some pictures of you but no-one is going to pressure you to do so. the lunch was served in a lovely restaurant with an incredible view. overall I would recommend the experience for sure! 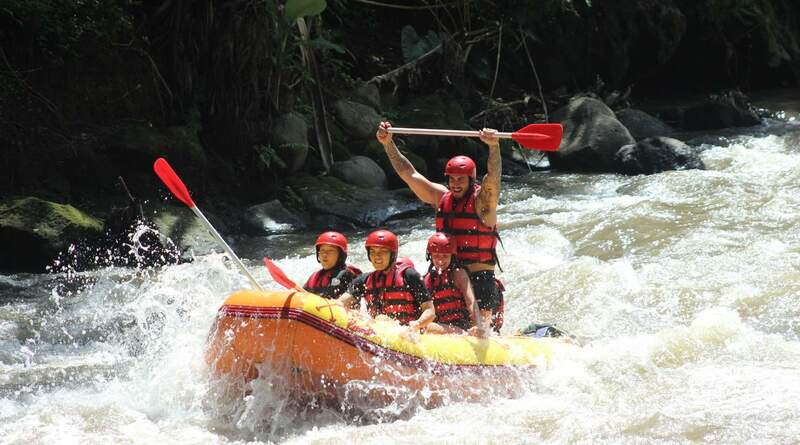 The rafting was not that extrme but it was really fun, our guide Putu helped a lot to make it that way. also the surroundings are incredibly pretty so if you want to take look of the jungle from within this is a good option. Also there is a stop at mid point where you can buy refreshing drinks. Towards the end of the rafting you have the option to swim. if you like you can buy some pictures of you but no-one is going to pressure you to do so. the lunch was served in a lovely restaurant with an incredible view. overall I would recommend the experience for sure! AMAZING... Breathtaking... Adventurous... it doesn’t get any better! Book with Klook and save the money as the prices are slightly higher without this app. This rafting company offered safety with experienced guides... fun for all ages. Just remember it’s 400 steps going down to the river however it’s very easy and worth the views! The lunch provided afterwards was fresh and yummy. Our driver stayed with us and waited until we were completed with the rafting and brought us back to Kuta... All included in the price!!! Super cheap cost overall for an Amazing experience! AMAZING... Breathtaking... Adventurous... it doesn’t get any better! Book with Klook and save the money as the prices are slightly higher without this app. This rafting company offered safety with experienced guides... fun for all ages. Just remember it’s 400 steps going down to the river however it’s very easy and worth the views! The lunch provided afterwards was fresh and yummy. Our driver stayed with us and waited until we were completed with the rafting and brought us back to Kuta... All included in the price!!! Super cheap cost overall for an Amazing experience! AMAZING ACTIVITY!! This was one of the highlights of our trip! We loved every minute of it! Be sure to ask if you can sit in front for maximum enjoyment!! We have never rafted before but in the capable hands of the instructor, we never got scared and eventually thrived in the activity. The guide will be giving instructions for the people in the boat, and will occasionally get everyone wet! When we went on this it was drizzling a bit bit that only made the experience better since the sun was hidden by the clouds making it not too hot. The buffet lunch was filling too! And they had showers for thise who wanted to clean up before heading out. There’s a bit of a hike going to the raft site but dont worry its worth the walk! Very scenic route and it warms you up for the rafting. AMAZING ACTIVITY!! This was one of the highlights of our trip! We loved every minute of it! Be sure to ask if you can sit in front for maximum enjoyment!! We have never rafted before but in the capable hands of the instructor, we never got scared and eventually thrived in the activity. The guide will be giving instructions for the people in the boat, and will occasionally get everyone wet! When we went on this it was drizzling a bit bit that only made the experience better since the sun was hidden by the clouds making it not too hot. The buffet lunch was filling too! And they had showers for thise who wanted to clean up before heading out. There’s a bit of a hike going to the raft site but dont worry its worth the walk! Very scenic route and it warms you up for the rafting. driver was on time! from pick up to drop off no issue at all. love the rafting, amazing river and forest view, breath taking scenes with fun rafting followed the instructions by the guide. welcome drinks, towel, good lunch provided. would be perfect if there's a bottle water provided from the beginning of the trip, can be easily dehydrated from the stairs climbing. thank you! driver was on time! from pick up to drop off no issue at all. love the rafting, amazing river and forest view, breath taking scenes with fun rafting followed the instructions by the guide. welcome drinks, towel, good lunch provided. would be perfect if there's a bottle water provided from the beginning of the trip, can be easily dehydrated from the stairs climbing. thank you! The driver was on time and was very kind enough to bring me and my friend to a clinic because i needed bandages. the tour guide of our water rafting was also kind and patient. he assisted me while i limped carefully every step down and up the stairs. he is also funny and made the trip a whole lot more enjoyable. I highly recommend booking your tours with klook! The driver was on time and was very kind enough to bring me and my friend to a clinic because i needed bandages. the tour guide of our water rafting was also kind and patient. he assisted me while i limped carefully every step down and up the stairs. he is also funny and made the trip a whole lot more enjoyable. I highly recommend booking your tours with klook!